Niklas Carlsson is an Associate Professor at Linköping University, Sweden. He received his M.Sc. degree in Engineering Physics from Umeå University, Sweden, and his Ph.D. in Computer Science from the University of Saskatchewan, Canada. He has previously worked as a Postdoctoral Fellow at the University of Saskatchewan, Canada, and as a Research Associate at the University of Calgary, Canada. His research interests are in the areas of design, modeling, characterization, and performance evaluation of distributed systems and networks. He actively serves on international program committees and publishes research papers in leading conferences. Current community involvement includes organizing ACM GreenMetrics (since 2009), being TCP co-chair of IEEE MASCOTS 2015, the current chair of IEEE STC on Sustainable Computing, and the acting secretary-treasurer of ACM SIGMETRICS. Danilo Ardagna received the PhD degree in computer engineering in 2004 from Politecnico di Milano, from which he graduated in December 2000. 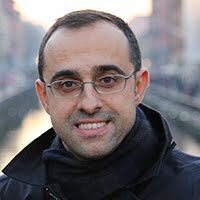 Now, he is an assistant professor within the DEEPSE (Dependable Evolvable Pervasive Software Engineering) group at the Dipartimento di Elettronica e Informazione. His research work focus on the design, prototype and evaluation of self-management systems for Web service based IT architectures, virtualized and Cloud systems. In particular, the work aims on the design of optimization algorithms for resource and energy management of autonomic virtualized infrastructures. Anirban Mahanti is a Principal Researcher at National ICT Australia (NICTA), Australia's center of excellence in ICT research. Prior to joining NICTA, he held academic appointments at the Indian Institute of Technology (IIT) Delhi and the University of Calgary, Canada. Dr. Mahanti received the B.E. degree in Computer Science and Engineering from the Birla Institute of Technology, Mesra, India, in 1997, and the M.Sc. and Ph.D. degrees in Computer Science from the University of Saskatchewan, Saskatoon, SK, Canada, in 1999 and 2004, respectively. His research interests are in the areas of performance evaluation of distributed systems and computer networks, with current research activities focused on scalable content distribution, network measurements, and ICT for development. Dr. Mahanti has co-authored 60 peer-reviewed articles, which accordingly to Google Scholar have received over 2200 citations; he is co-author on three award papers. Dr. Mahanti has served on the program committees of several top-tier conferences including the ACM e-Energy conference, the International World Wide Web conference, the IFIP Performance conference, and the ACM SIGMETRICS conference. Dr. Mahanti was a recipient of an outstanding young faculty fellowship at IIT Delhi. Dr. Mahanti currently co-chairs the IEEE STC on Sustainable Computing (STC-SC). He was previously membership chair of IEEE STC-SC. Martin Arlitt is a senior research scientist at Hewlett-Packard Laboratories (HP Labs) in Palo Alto, CA, where he has worked since 1997. His general research interests are workload characterization and performance evaluation of distributed computer systems. His 80+ research papers have been cited more than 5,700 times (according to Google Scholar). He has 15 granted patents and many more pending. He is an ACM Distinguished Scientist and a senior member of the IEEE. He has served on the program committee of numerous top tier conferences, such as ACM SIGMETRICS, the world's premiere venue for research publications on performance evaluation. In 2012 he was co-program chair of ACM SIGMETRICS/Performance conference. He is the creator of the ACM SIGMETRICS GreenMetrics workshop. He was co-chair of the IEEE Computer Society's Special Technical Community on Sustainable Computing from 2010-2012. He is currently the chair of the IEEE Computer Society’s STC Governance Committee. He was a senior research associate at the University of Calgary from 2001-2012. He is now an adjunct assistant professor at the University of Calgary. Ishfaq Ahmad received a B.Sc. degree in Electrical Engineering from the University of Engineering and Technology, Pakistan, in 1985, and an MS degree in Computer Engineering and a Ph.D. degree in Computer Science from Syracuse University, New York, U.S.A., in 1987 and 1992, respectively. Since 2002, he is a professor of Computer Science and Engineering at the University of Texas at Arlington (UTA). Prior to that, he was an associate professor of computer science at the Hong Kong University of Science and Technology. His research focus is on the broader areas of parallel and distributed computing systems and their applications, optimization algorithms, multimedia systems, video compression, and energy-aware green computing. Dr. Ahmad has received numerous research awards, including three best paper awards at leading conferences and 2007 best paper award for IEEE Transactions on Circuits and Systems for Video Technology, IEEE Service Appreciation Award, and 2008 Outstanding Area Editor Award from the IEEE Transactions on Circuits and Systems for Video Technology. His current research is funded by the U.S. Department of Justice, National Science Foundation, SRC, Department of Education, and several companies. He is the Founding Editor-in-Chief of the new Journal, Sustainable Computing: Informatics and Systems, and co-founder of the International Green Computing Conference (IGCC). He is an editor of the Journal of Parallel and Distributed Computing, IEEE Transactions on Parallel and Distributed Systems, and Hindawi Journal of Electrical and Computer Engineering. He has served on the editorial board of IEEE Transactions on Circuits and Systems for Video Technology and IEEE Transactions on Multimedia. He is a Fellow of the IEEE. David Carrera received the MS degree at the Technical University of Catalonia (UPC) in 2002 and his PhD from the same university in 2008. He is an associate professor at the Computer Architecture Department of the UPC. He is also an associate researcher in the Barcelona Supercomputing Center (BSC) within the “Autonomic Systems and eBusiness Platforms” research line. His research interests are focused on the performance and energy management of data center workloads. He was a summer intern at IBM Watson (Hawthorne, NY) in 2006, and a Visiting Research Scholar at IBM Watson (Yorktown, NY) in 2012. He has been involved in several EU and industrial research projects. He received an IBM Faculty Award in 2010. He is an IEEE member. Giuliano Casale received the M.Eng. and Ph.D. degrees in computer engineering from Politecnico di Milano, Italy, in 2002 and 2006 respectively. He joined in 2010 the Department of Computing at Imperial College London where he holds an Imperial College Junior Research Fellowship. His research interests include performance modeling, workload characterization, and resource management. He is co-author of the Java Modelling Tools performance evaluation suite (http://jmt.sf.net). Prior to joining Imperial College, he was a full-time researcher at SAP Research UK in 2009 and a postdoctoral research associate at the College of William and Mary, Virginia, in 2007 and 2008. In Fall 2004 he was a visiting scholar at UCLA. He serves as program co-chair for QEST 2012 and for ACM SIGMETRICS/Performance 2012. He is a member of ACM, IEEE, and IEEE Computer Society. From 2012 he serves as secretary/treasurer of the IEEE STC on Sustainable Computing. Stephen Dawson is a senior researcher within the technology infrastructure practice at SAP Research Belfast. His primary research interests are performance evaluation and cost modeling of enterprise applications. Stephen currently manages the SAP/Intel Co-Laboratory, which aims to investigate the use of future computing architectures for sustainability. He obtained a degree in Electronic and Software Engineering from Queen’s University Belfast and also holds a PhD from the same institution. He is also active as both a working group and technical committee member at the Innovation Value Institute (IVI). Bhuvan Urgaonkar is an associate professor of computer science and engineering at Penn State, where he has worked since 2005. He earned the M.S. (2002) and the Ph.D. (2005) degrees in computer science at the University of Massachusetts, and the B.Tech (honors) degree in computer science and engineering at the Indian Institute of Technology Kharagpur (1999). His research involves applying ideas from distributed computing, resource management, scheduling, performance evaluation, and analytical modeling to the design and evaluation of data centers, networked systems, operating systems, virtualization techniques, and storage systems. Urgaonkar is a recipient of the NSF CAREER Award (2010) and a research award from Cisco (2007). With his co-authors, he has received the following awards or other special recognition: "Best Paper" at IEEE MASCOTS 2012, "Best Paper Nomination" at ACM Sigmetrics 2012, "Best Student Paper" at the IEEE MASCOTS 2008, and "Best Student Paper" at IEEE ICAC 2005. He was a co-chair of the performance track of the World Wide Web 2012 conference, and a co-organizer of the First Workshop on Integrating Solid-State Memory in the Storage Hierarchy (WISH 2009), co-located with ACM ASPLOS 2009. He is a senior member of the ACM, a senior member of the IEEE, and a member of USENIX. 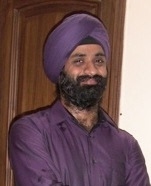 Amarjeet Singh is currently Asst. Professor in Mobile and Ubiquitous Computing Group at Indraprastha Institute of Information Technology, Delhi (IIIT-Delhi). At IIIT-Delhi, he is involved in using mobile computing, sensing and systems research for applications in large scale sustainable healthcare diagnosis and privacy aware, federated systems for sustainable building utility consumption. He completed his MS and Phd in Electrical Engineering from University of California, Los Angeles (UCLA) in 2007 and 2009 respectively. He was selected for IBM Faculty Award for 2011, one of the three faculty selected from India. In 2009, he was awarded Chorafas Foundation Award for applied research with long-range implications. He was also a recipient of 2007 Edward K. Rice outstanding MS student in School of Engineering at UCLA. From 2002 – 2004, he worked as Senior Research and Development Engineer at Tejas Networks, Bangalore, India. His undergraduate education was in Electrical Engineering from Indian Institute of Technology, Delhi in 2002. Guillaume Jourjon received his PhD from the University of New South Wales and the Toulouse University of Science in 2008, his Engineering degree from the ENSICA, a French aeronautical engineering school in Toulouse and his Master of Research in Telecommunications and Networking. He is currently a Researcher at NICTA in the Network Research Group. His research interests are in the optimisation of distributed systems (i.e. energetic aspect and QoE), the management and control of experimentation (testbed), measurement architectures and live analysis, and e-learning platform. Guillaume Jourjon received his PhD from the University of New South Wales and the Toulouse University of Science in 2008, his Engineering degree from the ENSICA, a French aeronautical engineering school in Toulouse and his Master of Research in Telecommunications and Networking. He is currently a Researcher at NICTA in the Network Research Group. His research interests are in the optimisation of distributed systems (i.e. energetic aspect and QoE), the management and control of experimentation (testbed), measurement architectures and live analysis, and e-learning platform. Canturk Isci is a Research Staff Member in IBM TJ Watson Research Center. His research interests include virtualization, data center energy and thermal management, microarchitectural and system-level techniques for energy-efficient and adaptive computing. Prior to joining IBM Research, Canturk was a Senior Member of Technical Staff at VMware, where we he worked on distributed resource and power management, performance and scalability of virtualized systems. He is the recipient of a best paper award in ICAC 2011, best research poster in VMworld 2008 and academic fellowships from British Council, Princeton and Bilkent University. Canturk has a B.S. in Electrical Engineering from Bilkent University, an M.Sc. with Distinction in VLSI System Design from University of Westminster, and a Ph.D. in Electrical Engineering from Princeton University. He is a member of the IEEE. Niklas Carlsson is an Assistant Professor at Linköping University, Sweden. He received his M.Sc. degree in engineering physics from Umeå University, Umeå, Sweden, and his Ph.D. in computer science from the University of Saskatchewan, Canada. He has also been working as a Postdoctoral Fellow at the University of Saskatchewan, Canada, and as a Research Associate at the University of Calgary, Canada. His research interests are in the areas of design, modeling, characterization, and performance evaluation of distributed systems and networks. Abhishek Chandra is an Associate Professor in the Department of Computer Science and Engineering at the University of Minnesota. His research interests are in the areas of Operating Systems and Distributed Systems, with recent focus on performance and resource management in large-scale systems such as Clouds, Grids, and Data centers. He received his B.Tech. degree in Computer Science and Engineering from IIT Kanpur, India, and M.S. and PhD degrees in Computer Science from the University of Massachusetts Amherst. He is a recipient of the NSF CAREER Award, his PhD dissertation was nominated for the ACM Dissertation Award, and he is a co-author on two Best Paper/Student Paper Awards. Anne Holler is a Principal Engineer at VMware, working in resource management. She designed and implemented components of VMware's Distributed Resource Schedulers for servers and storage and of Distributed Power Management, and more recently has been working on application-oriented resource management. Previous to working in resource management, she did performance analysis for VMware's hypervisor and hosted products. Prior to joining VMware in 2002, she worked at Omnishift on transparent application and data delivery over the web to the desktop, at Transmeta on Crusoe performance and power, and at Hewlett-Packard on low-level compiler optimization and performance for the PA-RISC and Itanium processors. Anne received bachelors andmasters degrees from Duke University, and a doctorate from University of Virginia, all in Computer Science. Diwakar Krishnamurthy is an assistant professor with the department of electrical and computer engineering at the University of Calgary. His research interests are focused on computer systems performance evaluation. Diwakar is currently involved in projects addressing performance and power issues in multi-core servers. Yan Shvartzshnaider is a postdoctoral research associate in the Princeton University. His research focus is in the area of Future Internet architectures, large-scale network systems. His research is now focused on developing fog networks architecture.